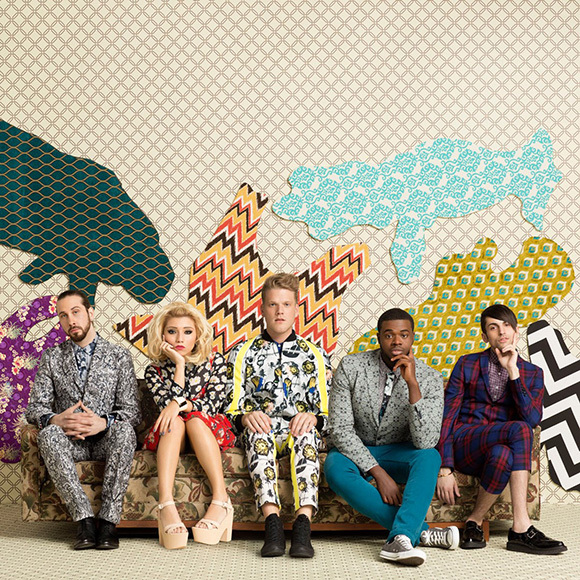 Pentatonix will now play at Esplanade Outdoor Theatre on 17 Sep, Saturday and at Village Stage on 18 Sep, Sunday. 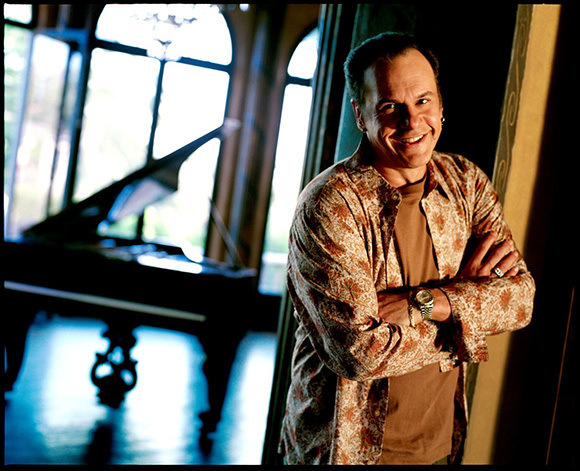 KC and The Sunshine Band will now play at Esplanade Outdoor Theatre on 16 Sep, Friday and at Village Stage on 17 Sep, Saturday. 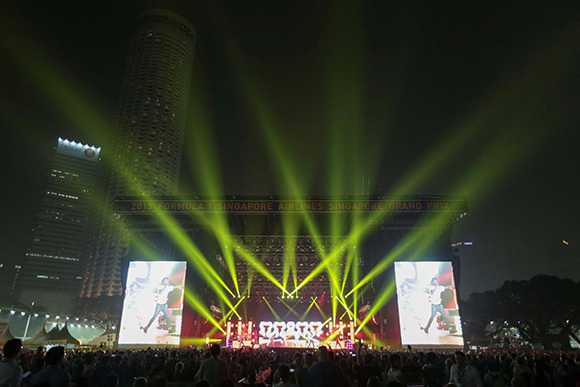 06 June 2016, Singapore - Race promoter Singapore GP Pte Ltd announced today the first phase of the entertainment lineup for the 2016 FORMULA 1 SINGAPORE AIRLINES SINGAPORE GRAND PRIX held from 16 to 18 September. Adding to the festive atmosphere at the Marina Bay Street Circuit are Queen + Adam Lambert, Kylie Minogue, Bastille, Pentatonix and KC and the Sunshine Band. Brian May: "What an amazing opportunity, after over 45 years of touring the World, to be breaking new ground in Asia. 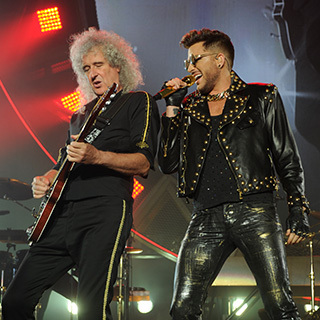 Queen has found a new energy and life with Adam, and I look forward to seeing happy faces out there". Roger Taylor: "I really look forward to bringing Queen to the great cities of Asia". Adam Lambert: "I have been lucky enough to visit Asia recently and am so thrilled to be able to return there to perform with Queen. We are going to give you a show to remember". In an incredible career spanning four decades, Queen' s indelible influence is unrivalled, with a staggering list of awards, accolades and honours to their name including seven Ivor Novellos, an MTV Global Icon Award and two songs enshrined in the Grammy Hall of Fame. With record sales in the hundreds of millions of units - including their Greatest Hits collection which sold over 6 million copies in the UK alone, meaning one in three households owning a copy - and a string of No. 1 albums and chart topping singles, Queen are undoubtedly one of the UK' s most successful and best loved national treasures. With one of the most enduring song catalogues of all time, including 'We Will Rock You' , 'We Are The Champions' , 'Don' t Stop Me Now' 'Somebody to Love' , and of course 'Bohemian Rhapsody, their musical repertoire is second to none and the legacy created by Freddie Mercury, Brian May, Roger Taylor and John Deacon lives on through the ongoing work by May and Taylor, now joined by Adam Lambert. Adam Lambert' s debut album For Your Entertainment earned him a Grammy Award nomination for Best Male Pop Vocal Performance, and a worldwide smash hit with'Whataya Want From Me' . His second album, Trespassing, debuted at No. 1 on the Billboard charts. In 2013, Adam appeared as a guest star on the hit TV series, GLEE and as as a featured vocalist on Avicii' s album ' True' . Adam released his highly anticipated third album, 'The Original High' last summer, which entered the worldwide chart at number 3, and took his overall worldwide sales to over 3 million units. Since she first topped the UK charts with 'I Should Be So Lucky', Kylie Minogue has achieved massive commercial success and critical acclaim in the entertainment industry. She has released thirteen studio albums, six live albums, eight concert DVDs, her Greatest Hits and The Ultimate Kylie double albums, and multiple video packages. This is in addition to 69 international singles. Her 2001 album Fever, featuring 'Can't Get You Out of My Head,' went multi-platinum. In 2008 Her Majesty, Queen Elizabeth II awarded Kylie an OBE for services to music and she recently performed for Her Majesty's 90th birthday. Throughout her music career, Kylie has won a Grammy award, 16 ARIA music awards (Australia's biggest music awards) and 3 BRIT awards. She holds the record for the most-played female artiste on UK radio, appeared as a judge on The Voice in the UK and Australia, closed the Sydney Olympics and has sold out eight record-breaking world tours. 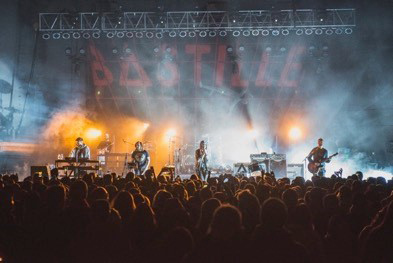 Known for their clever combination of polished synth pop and arena-friendly choruses, their smash single 'Pompeii' spent a record 92 consecutive weeks in the UK Top 100, sold more than 11 million copies worldwide and was UK's most streamed song for more than a year. Fans of the London-based band can sing along to their catchy indie-pop hits including 'Of The Night', 'Laura Palmer', 'Things We Lost In The Fire' and 'Oblivion' plus tracks from the newly released album Wild World. Since bursting onto the scene in 2011, multi-platinum selling recording artists Pentatonix have sold more than 3.2 million albums in the U.S. alone, won 2 Grammy Awards, sold out venues worldwide, have amassed over 1.5 billion views on their YouTube channel with over 10.5 million subscribers and appeared in the feature film Pitch Perfect 2. Their latest release, Pentatonix debuted at #1 on the Billboard Top 200 and Current Albums Chart and is certified gold by the RIAA. The first single, "Can' t Sleep Love" has over 18 million views on YouTube. The group' s holiday album, That's Christmas To Me, is certified double platinum by the RIAA and features their recent 2016 Grammy winning track, "Dance of the Sugarplum Fairy. All 7 of their releases have peaked within the Top 5 on Billboard's Digital Albums Chart with 6 of those releases reaching the Top 10 or higher on the Billboard Top 200 Album Chart. 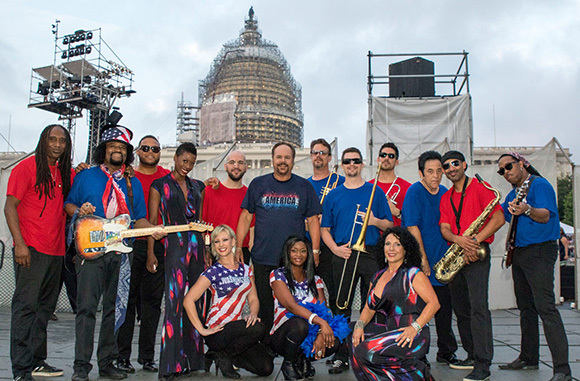 Most recently, the group received 2 gold certifications for their "Daft Punk" medley and cover of Imagine Dragons' "Radioactive" ft. Lindsey Stirling. That's Christmas To Me was the 4th best-selling album of 2014. The group released their very first documentary (On My Way Home) which follows the quintet on their sold out 2015 North American Tour featuring behind-the-scenes footage, life performance and the making of their debut studio album, Pentatonix. 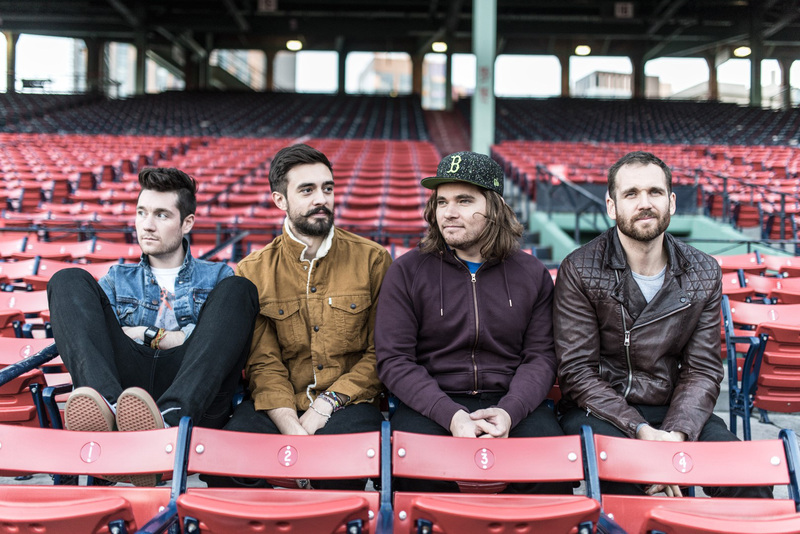 The group continues on their 2016 World Tour in support of their self-titled gold certified album and their newest single, "If I Ever Fall In Love" ft. Jason Derulo. Fans can look forward to a great night with their impressive run of hits including 'That's the Way (I Like It)', '(Shake, Shake, Shake) Shake Your Booty', 'I'm Your Boogie Man', 'Keep It Comin' Love', 'Get Down Tonight', 'Boogie Shoes', 'Please Don't Go' and 'Give It Up'. The Padang Stage, which will host Kylie, Bastille, Queen + Adam Lambert and a yet-to-be announced Sunday headliner, will be resited this year. Singapore's largest outdoor stage will be situated between Padang Grandstand A and Padang Grandstand B, facing Connaught Drive and Esplande Park to deliver a more up-close concert experience for all ticketholders. By positioning the Padang stage centrally, overall Fan Zone capacity will increase and will be split into six sections for easier and safer crowd control. "The front of house that controls spotlights and audio towers will be tucked in front of the heritage trees on Connaught Drive so we don't lose valuable viewing space behind the towers. Overall, the patrons furthest from stage will be much closer than in past years. 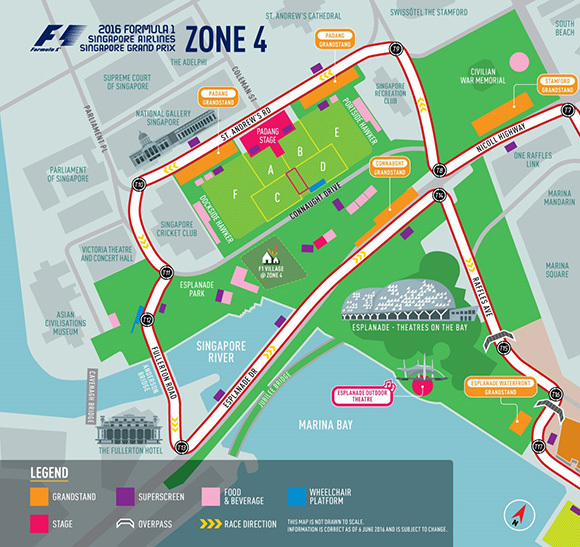 We will also install additional superscreens on the far right and left of the stage to give a wider viewing opportunity for races and concerts which will take the concert experience all the way into the Esplanade Park," said Mr. Michael Roche, Executive Director of Singapore GP Pte Ltd. Patrons can look forward to more food and beverage options at the Padang with the new Portside Hawkers situated beside the Singapore Recreation Club, in addition to the Dockside Hawkers located beside the Singapore Cricket Club. The new layout will also provide easier access out of the Circuit Park via St. Andrew's Road and Fullerton Road.